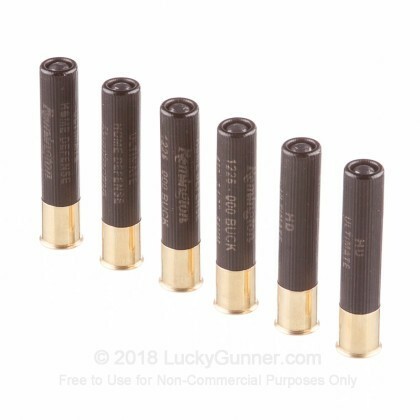 With the emergence of revolvers like the Taurus Judge and the Smith & Wesson Governor, .410 bore shot shells have become an increasingly popular home defense ammunition. 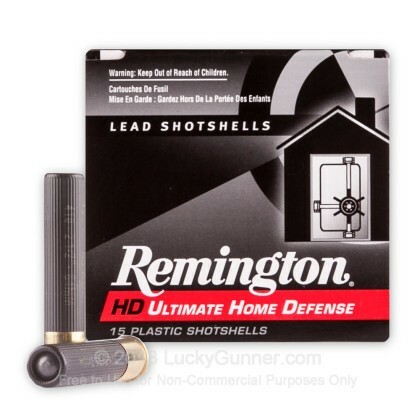 To meet this demand, Remington introduced a .410 bore shell to their Ultimate Home Defense line of ammunition. 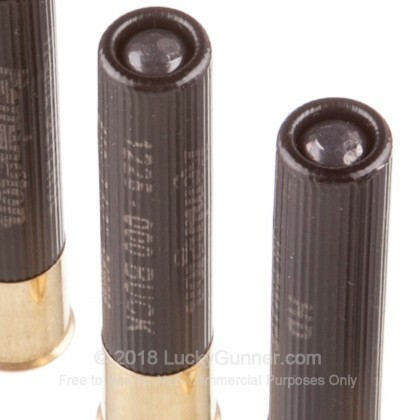 The 2-1/2” .410 shell carries 4 pellets of 000 buckshot, more than enough to deter an intruder or assailant. 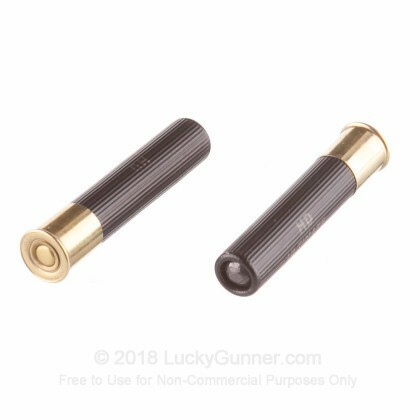 These shells are an excellent choice to load into your Judge or Governor, whether you’re looking at home defense, everyday carry, or casual shooting. 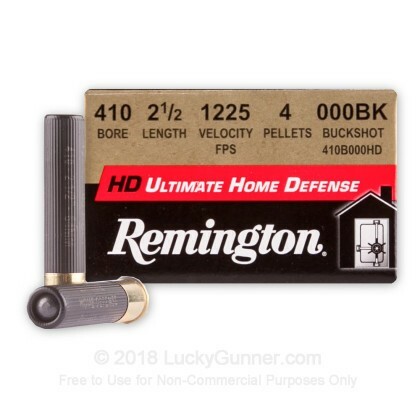 Remington’s Ultimate Home Defense line shotshells are designed to deliver devastating force in dense patterns when you need it the most. Shotguns have been a popular home defense choice for decades, but your weapon is only as good as the ammunition you load into it. When the stakes are high, make sure you are prepared with Remington Ultimate Home Defense. 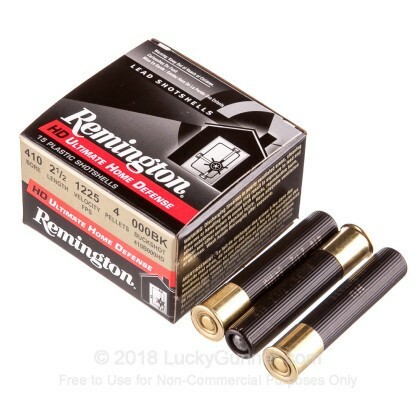 We also have this 410 Bore - 2-1/2" 000 Buckshot - Remington Ultimate Home Defense - 150 Rounds ammo in stock in a bigger quantity.